Singer-songwriter Jackson Browne has announced Spring 2018 tour dates in Hawaii and on the East Coast with his full band. 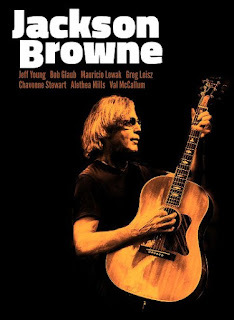 Following his recently announced Australia tour in March, Jackson Browne has added two Hawaiian dates in Honolulu, Oahu and Kahului, Maui in April, and a string of dates on the East Coast in May. Advance tickets are available beginning December 6 at 10 AM (local time), with general tickets available December 8 at 10 AM (local time). Accompanying Jackson on the road in Australia are longtime band mates Bob Glaub (bass), Mauricio Lewak (Drums), Val McCallum (guitar), Alethea Mills (Vocals), Chavonne Stewart (vocals), Jeff Young (keyboards), and the acclaimed multi-instrumentalist Greg Leisz (guitar, lap steel, pedal steel).